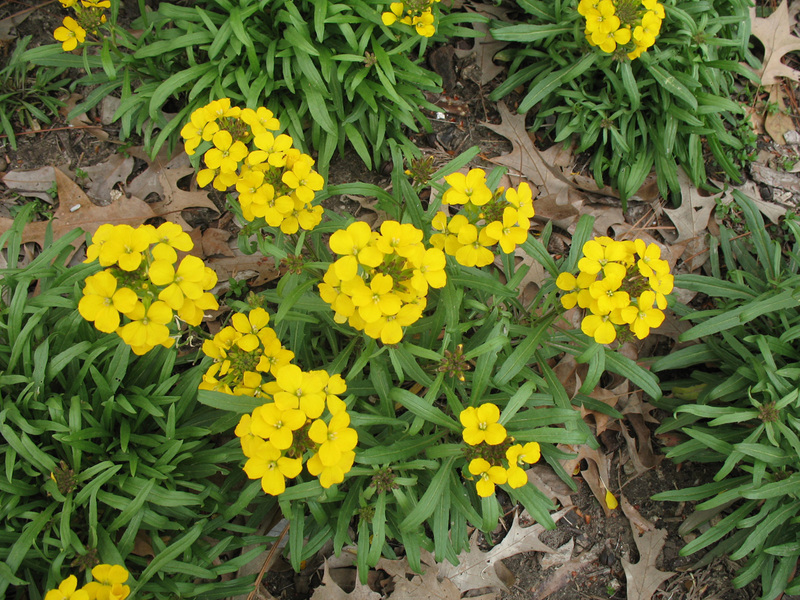 Comments: Grown primarily as a spring bedding plant featuring the bright yellow flowers on this particular cultivar. Other colors are available. Provide full sunlight and a well drained soil. Wallflowers grow in shallow soil like rock gardens and on walls that contain very little growing media.